Al Gore paid tribute to Steve Jobs whilst speaking the AsiaD conference in Hong Kong this morning, explaining that the former Apple CEO wanted the company to follow its own direction in his absence. Gore pointed to Jobs’ experience serving on the board at Disney where he had seen many company executives frequently wonder how Walt Disney, the former company head, would have handled situations prior to his passing. Interviewer Walt Mossberg and Gore moved on to discuss Steve Jobs’ memorial service, with the Nobel Peace Prize winner paying tribute to him and Apple’s achievements. We’ll all miss Steve. But for all of his inventions – “among them all, I actually I think his greatest work was Apple itself. He created an organization, and inspired it, that literally creates technology that people love.. and that’s going to continue. There’s so many things in the pipeline, and the team that he built is hitting on all cylinders. Mossberg and Gore assessed Apple’s position in the post-Jobs era, which Gore believes will continue to be about risk-taking and game-changing. Gore is confident for the future of the company where he believes that “everyone on that management team could be CEO of a world class corporation”. When asked about how he manages the conflict between sitting on Apple’s board and his role as Senior Advisor to Google, Gore admitted that he has scaled back his work with Google but misses the regular contact he used to have with the search giant. Eric Schmidt left the Apple board because of conflicts, I pulled back as well. I still talk to Larry and Sergey, but never about about anything where there’s competition. It’s not really a problem, but I don’t have as many conversations with them now. And I miss that. I’ve known them since they were 27 years old. 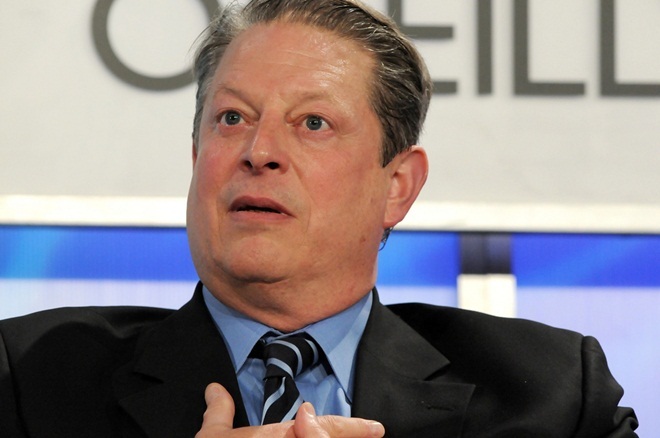 You can find full details from the interview with Al Gore at the AsiaD live blog on AllThingsD.